SLikeNet is an Open Source/Free Software cross-platform network engine written in C++ and specifially designed for games (and applications which have comparable requirements on a network engine like games) building upon the discontinued RakNet network engine which had more than 13 years of active development. SLikeNet is based on the design and sourcecode of RakNet, which was under active development for over 13 years. RakNet had been used by different players on the games industry market. The entire engine is under an OpenSource license (our own modifications/extensions are covered by the MIT license). The engine supports Windows, Linux, and OSX. Additional platforms can be supported upon request. incl. UPnP support, NAT punchthrough, IPv4/IPv6, UDP/TCP, etc. Automated creation, destruction, serialization and transfer of (game) objects. Supporting friend management, match making, rooms, ranking, etc. via a dedicated database and/or with Steam®-integration. Diff-based patch patch system or simplified system to directly transmit files with database integration (f.e. to transfer map-/skin-updates). 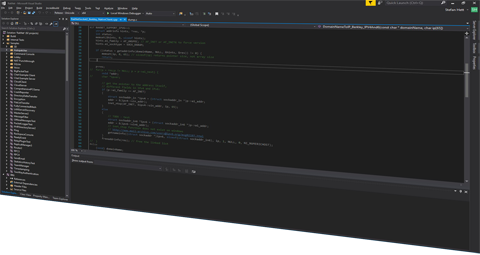 Simply call C/C++ procedures remotely with automated parameter serialization. Secure transmission and detection of modified data packages using technologies like SHA1, AES128, SYN Cookies, RSA, etc. (partially by utilizing the OpenSSL®-library). Including techniques like automated congestion control, message coalescence, splitting and re-combination of data packages, etc. Including audio bindings for DirectSound, Port Audio, and FMOD®. Prepared for cloud support (f.e. for scalability for chat server). SLikeNet is a trademark of SLikeSoft UG (haftungsbeschränkt). Steam is a registered trademark of Valve Corporation.